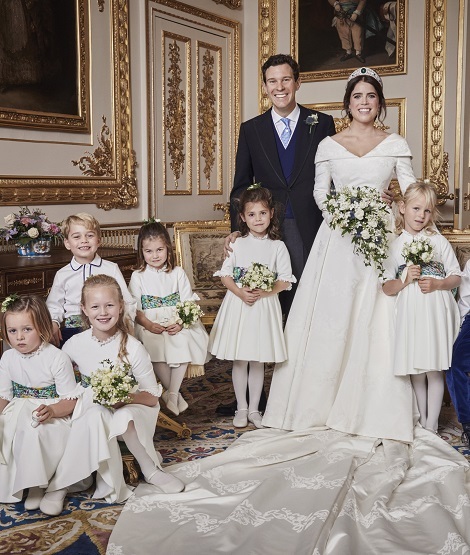 The newly wedded Princess Eugenie and Jack Brooksbank released four official photographs of their wedding today. 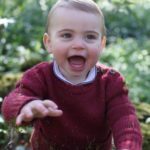 The pictures were taken by the British Fashion and Portrait photographer Alex Bramall at Windsor Castle and later in the day at the private dinner at Royal Lodge. 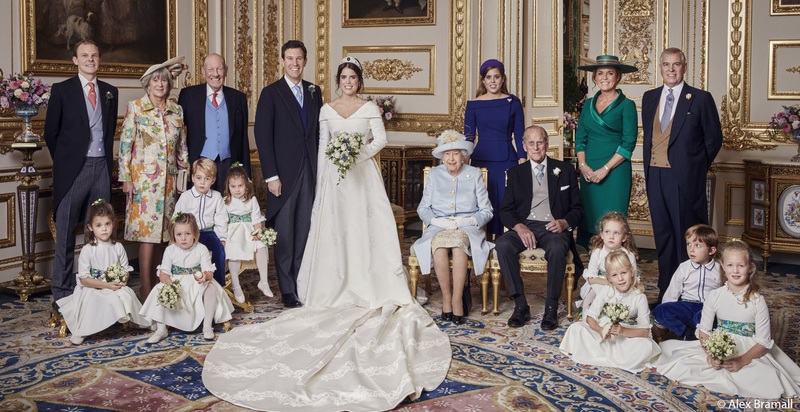 In the first photograph Princess Eugenie and Mr Jack Brooksbank are pictured in the White Drawing Room, Windsor Castle with The Queen, The Duke of Edinburgh Prince Philip, Eugenie’s parents Duke and Duchess of York Andres and Sarah, Jack’s Parents Mr George Brooksbank and Mrs Nicola Brooksbank, Eugenie’s elder sister Princess Beatrice, Jack’s brother Thomas Brooksbank and their bridal party. 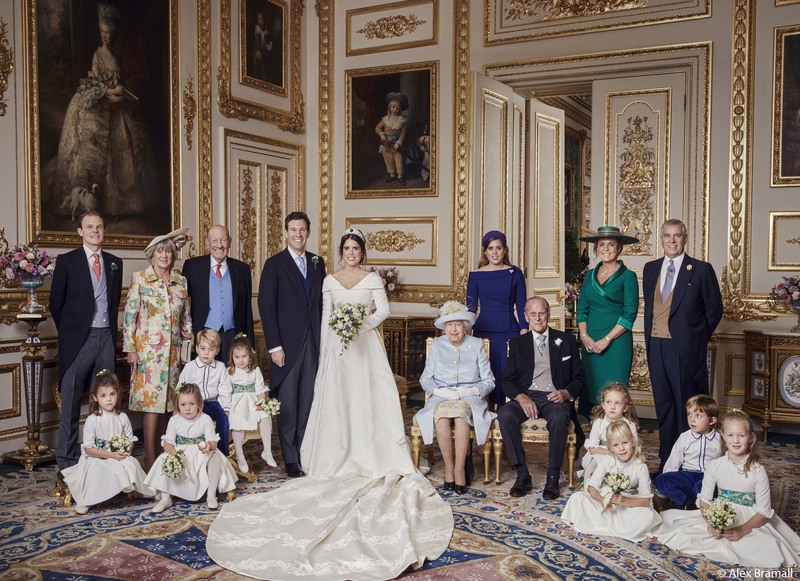 The second photograph has the Eugenie and Jack with their showstopper team i.e. the kids of their bridal party. 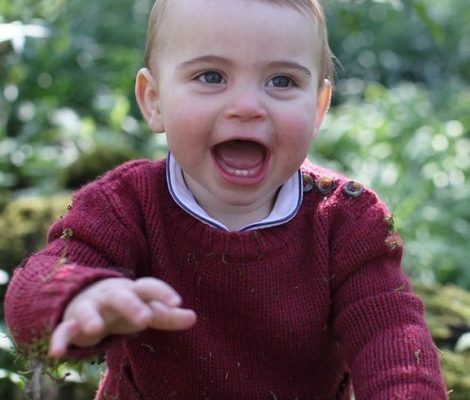 Miss Theodora Williams; Miss Mia Tindall, Miss Isla Phillips; Miss Savannah Phillips, Prince George of Cambridge, Princess Charlotte of Cambridge, Miss Maud Windsor, Master Louis De Givenchy. 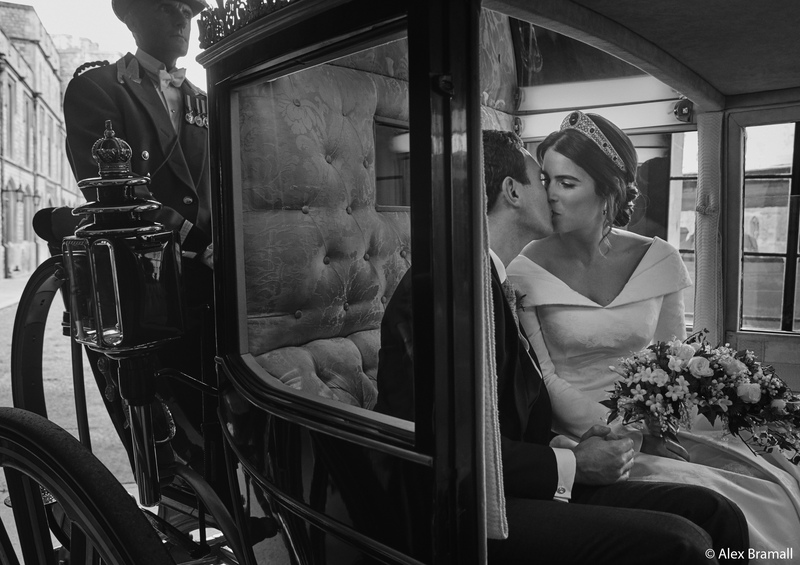 The third picture is A candid black-and-white clicked in the Scottish State Coach, upon its return to Windsor Castle following the Carriage Procession. 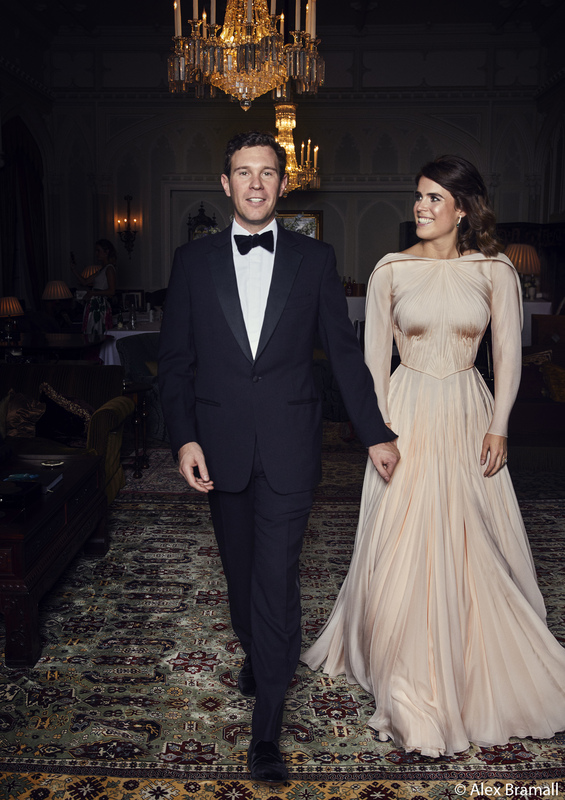 In Fourth picture Princess Eugenie and Mr Brooksbank are pictured at Royal Lodge, Windsor ahead of the private evening dinner, following their Wedding. 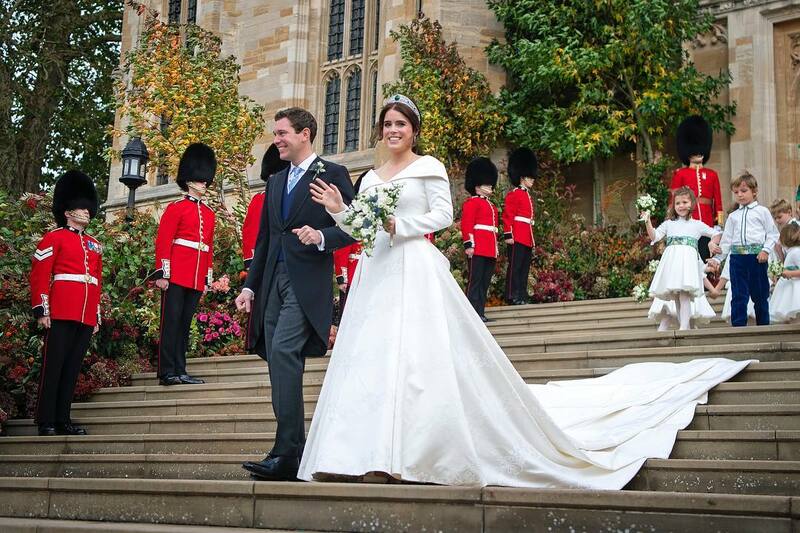 Princess Eugenie’s evening dress was designed by Zac Posen. Zac, present at the wedding yesterday, was inspired by the beauty of Windsor and the surrounding countryside. The choice of colour reflects the blush of an English rose. He took his inspiration from the White Rose of York. The pin-tucked plissé is cut on the bias and mixed with signature drapes. The White Rose of York is subtlety embroidered on both the shoulder and back which hold together the cape. The silk for the gown comes from Biddle Sawyer Silk. The timeless style of the gown has classic vintage vibe. 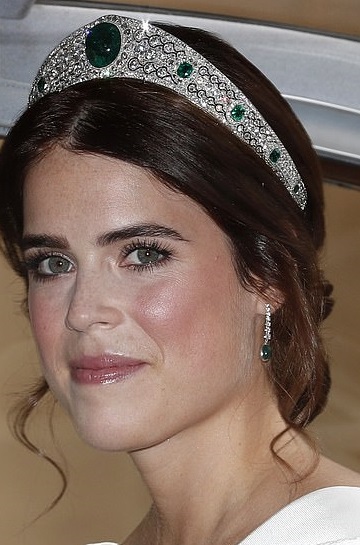 Princess Eugenie is wearing diamond and emerald drop earrings which were a Wedding gift from Jack and she also wore them yesterday with her tiara. 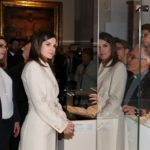 Her Wedding tiara was not the only loan from Queen. Princess Eugenie also wore a hair slide belonging to The Queen. The side is actually Queen Victoria’s Wheat-Ear Brooches that were originally commissioned by William IV in 1830 for Queen Adelaide. They were passed down to Queen Victoria in 1837, and eventually to The Queen in 1952. Her Majesty has worn them as both hair slides and brooches. 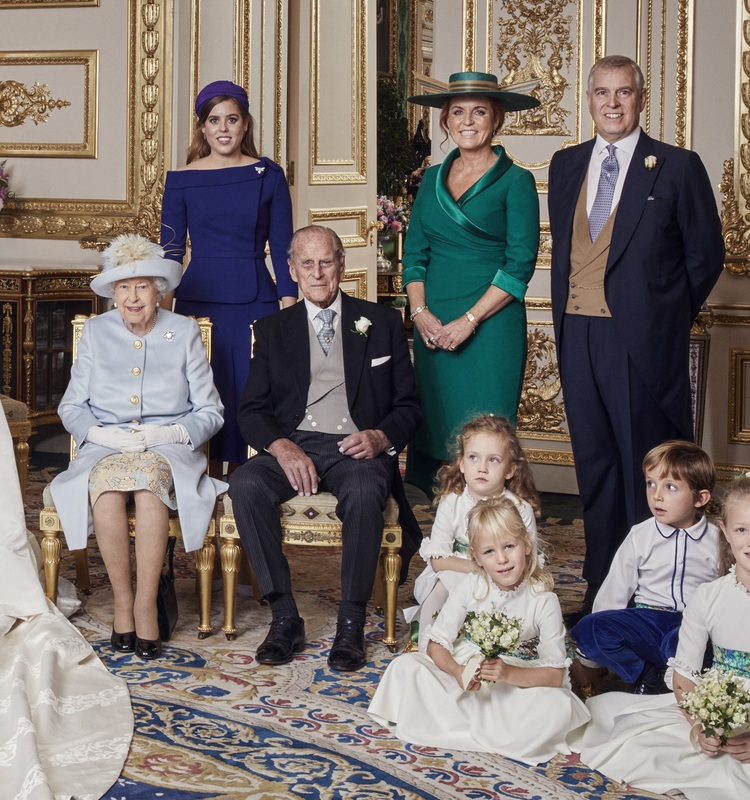 In the wedding pictures, Alex has captured the grandeur of the royal status very beautifully. The white drawing room of the Castle went perfectly well with the beaming moment. 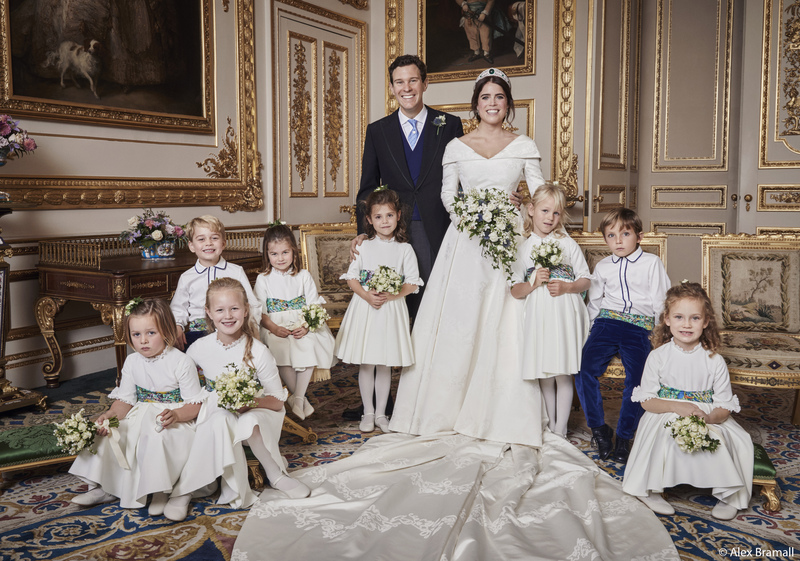 “It is an honor and a privilege to be invited to photograph Princess Eugenie and Jack on this most special of days,” Bramall said in a statement released by the palace. The presence of Prince Philip was also crucial. 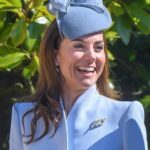 It is a matter of public knowledge that Prince Philip and his ex daughter-in-law Sarah, the Duchess of York do not have a pleasant relationship and Philip has taken the great measures in the past to avoid Sarah. In the wedding picture, leaving their grudges behind Sarah is standing beside beaming Philip. 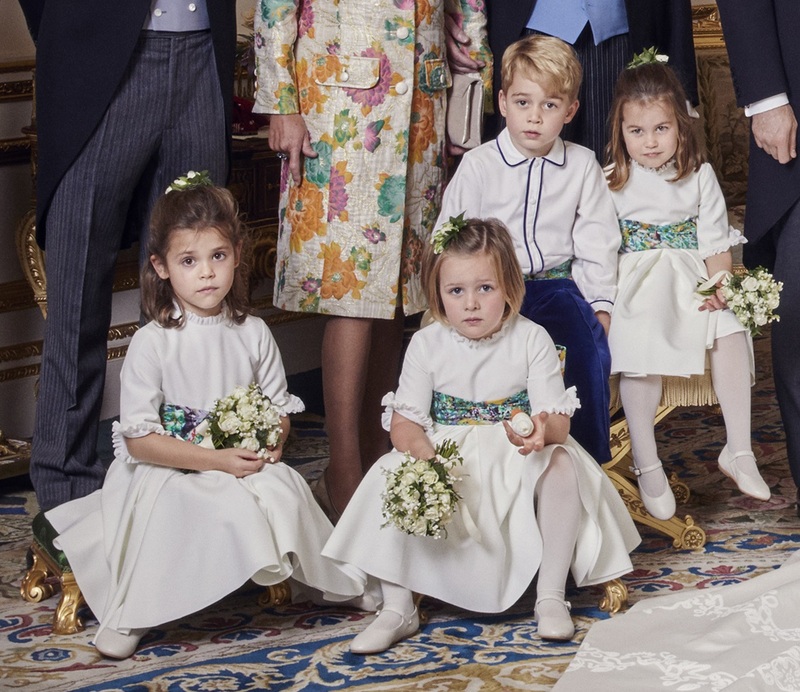 Another amusing observation is Mia Tindall’s expression. the almost 5 year old daughter of Zara and Mike Tindall was looking totally un-amused by the hassles of being photographed. 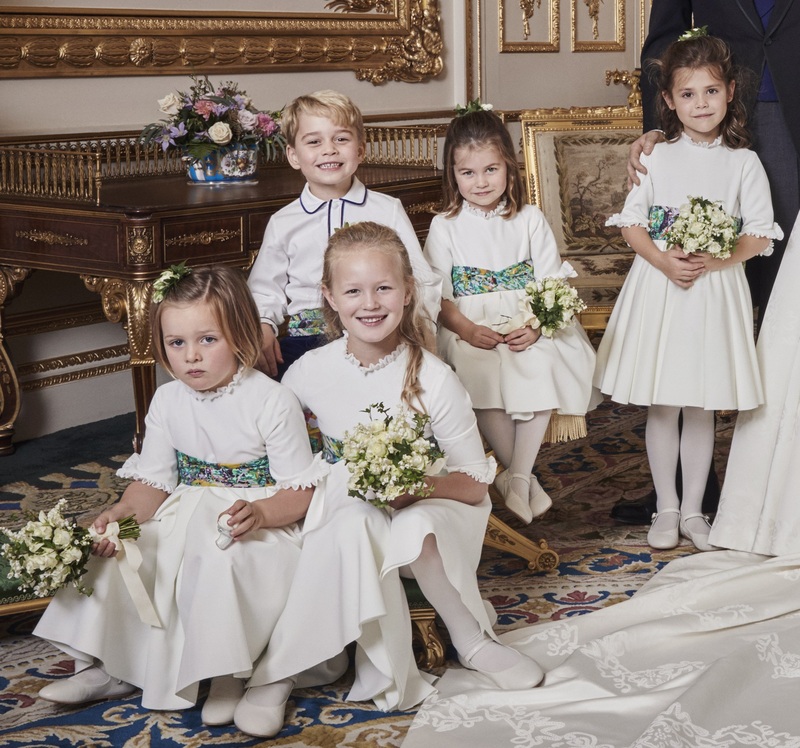 Coming to the twinkles of millions eyes, Princee George and Princess Charlotte, The royal siblings are totally a pro now at being page boy and flower girl in a bridal party. 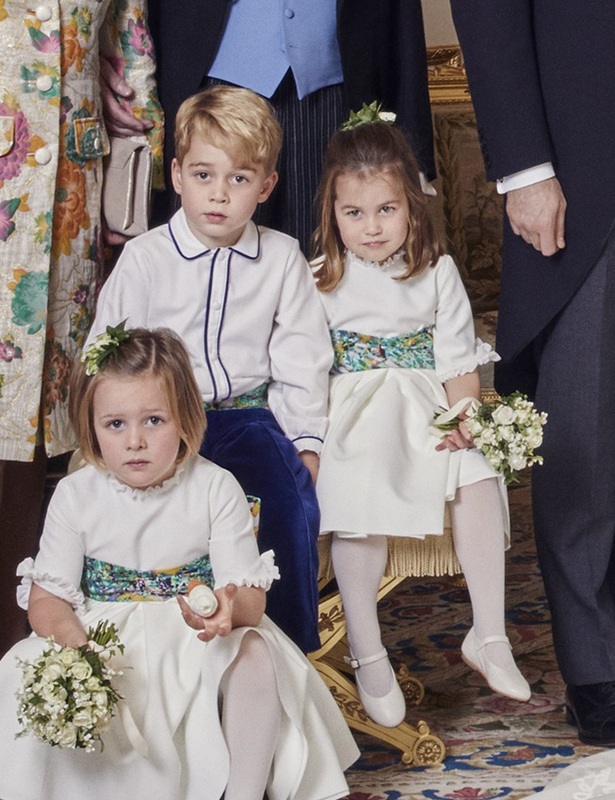 Sitting on the same settee, George is giving a cheeky smile to the camera that is fast becoming his signature smile for the cameras behind the palace doors while Charlotte is giving a shy smile holding the flower bouquet. A very interesting and amusing thing was noticed by Gerts Royal on twitter. 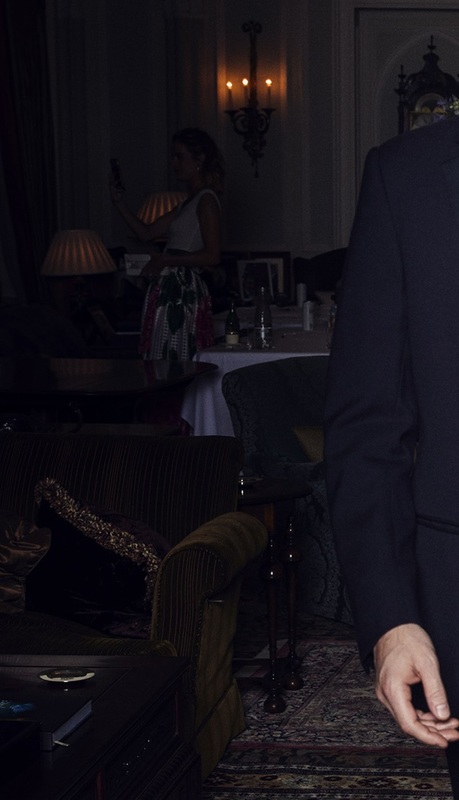 If you zoom out the reception picture, you will see a lady taking a selfie in the background. 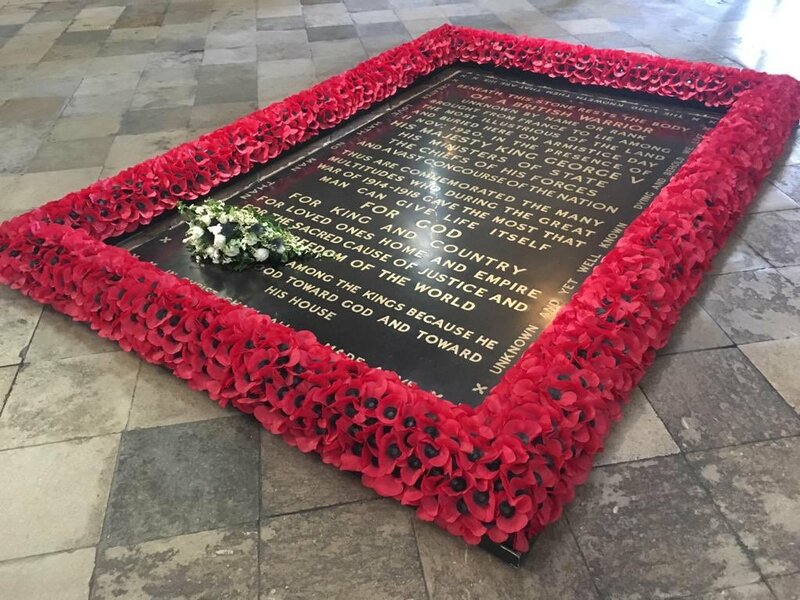 Following the royal tradition, Princess Eugenie laid her wedding bouquet at the grave of an unknown warrior at Westminster Abbey this morning. 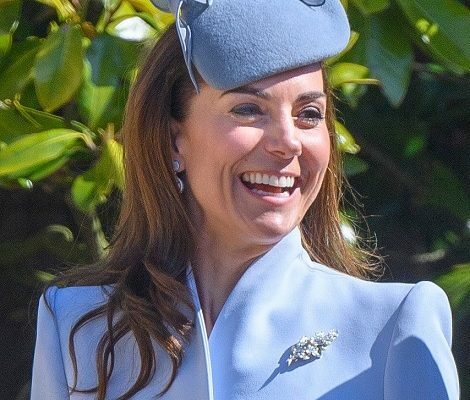 Yesterday’s wedding was one of its type that set the new bar for a royal wedding. Duchess looked absolutely stunning in raspberry pink Alexander McQueen Dress. In Case you missed the ceremony, it can be re-watched here at the official Royal Family Channel on Youtube.